I’d like to start out this post saying that the lessons that are included in this entry are thanks to my ENG 1121 professor, Dr. Monique Ferrell. I want to start by thanking her for impressing the importance of this aspect of student responsibility at such an early point in my college career because it has saved myself and many others who have benefitted from this lesson as well. So, today is the second day of the semester, so it’s actually a little late for this. College life is different than High School and other programs. Most students are fully aware of this. They are glad to have less hours of actual class time, be able to take classes that they want (for the most part), choose their professors, and meet other students with similar interests. One thing that students don’t count on, which is part of the more independent life of a college student, is the amount of responsibility that they have for their success or failure. No one will be giving you detention if you don’t show up to class or come late. Most professors won’t stay on your backs about assignments, and no one at college will be monitoring the amount of time you spend on classwork outside of class. These are all actually very important skills for students to master because most workplaces are similar. 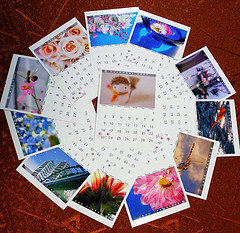 On thing that every student should become accustomed to doing before every semester, is reviewing the academic calendar. Every date on that calendar is important, but there are some dates that are so important that I think they should receive special attention. The first group of dates are the dates that say what the refund will be if a course is dropped by that day. As the semester progresses, students have the opportunity to drop classes for 100%, 75%, 50%, or 25% refunds. Usually, in order to receive 100% refund, the class must be dropped by or before the first day of the semester. The other refund amounts are usually in decreasing amounts each week. By the fourth week of the semester you can no longer DROP the class. You can however, WITHDRAW. The difference is, that when you DROP a class, it is removed from your transcript, and it will not affect your grades. However, although a WITHDRAWAL also won’t affect your grades, it will remain on your transcript as ATTEMPTED CREDITS. This sometimes will change financial aid status. Also, some classes or programs allow a maximum number of attempts at passing a course, and a W grade will constitute one of your attempts. So why does it matter? If you feel that a class won’t work for you, for whatever reason: schedule, professor, or academic, it’s best to DROP the class. However, if it’s too late to DROP, a grade of W is still better than an inferior grade. Usually, the course WITHDRAWAL period ends after mid semester grading. By then, you will have a pretty good idea of how you are doing and what you need to do to excel. At that point, if you feel that you are better off retaking the class, the best thing to do is WITHDRAW. Every course syllabus should include a rubrik that is helpful in calculating your progress in the course. This is a great way of keeping track of what grades you can expect to achieve based on your progress in the class. One thing to remember if you are considerring dropping or withdrawing, is that it may change your financial aid status. ALWAYS consult the financial aid office before taking these steps. In some cases, this process can change one’s status not only for the dropped or withdrawn class, but also for other classes. Another point of caution is that not showing up to class doesn’t constitute dropping or withdrawing. The registrar has forms that must be completed in order to process these actions. If you do not follow the correct procedure, you run the risk of WU or WN which both get averaged in to your GPA as fail (0.0). I’m looking forward to a productive, enjoyable semester. I hope that we can create a dialogue that will be helpful to all of us! If you have any topics that you would like me to address regarding student life, CityTech, and successful transition into your career, you can send me a message or post a comment!